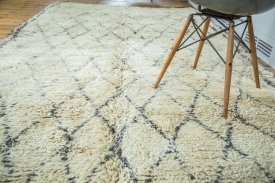 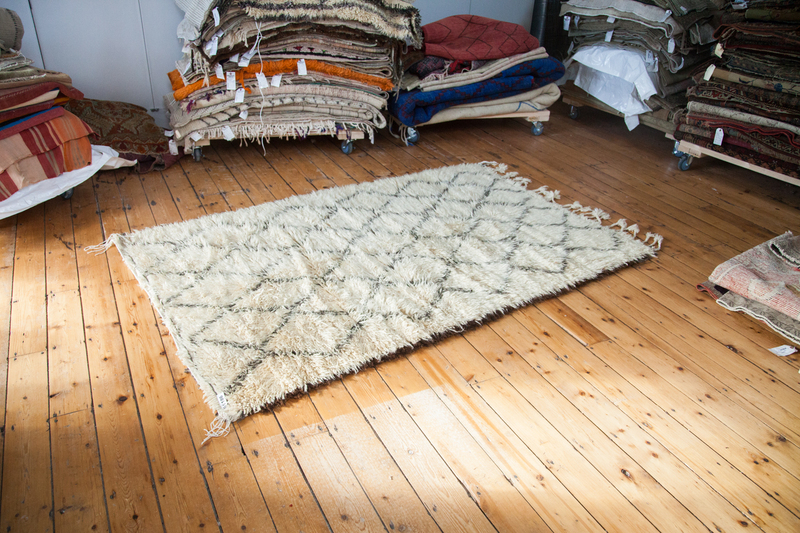 Our New York Westchester showroom stocks a prime selection of vintage hand knotted and woven Moroccan carpets. 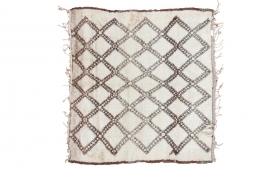 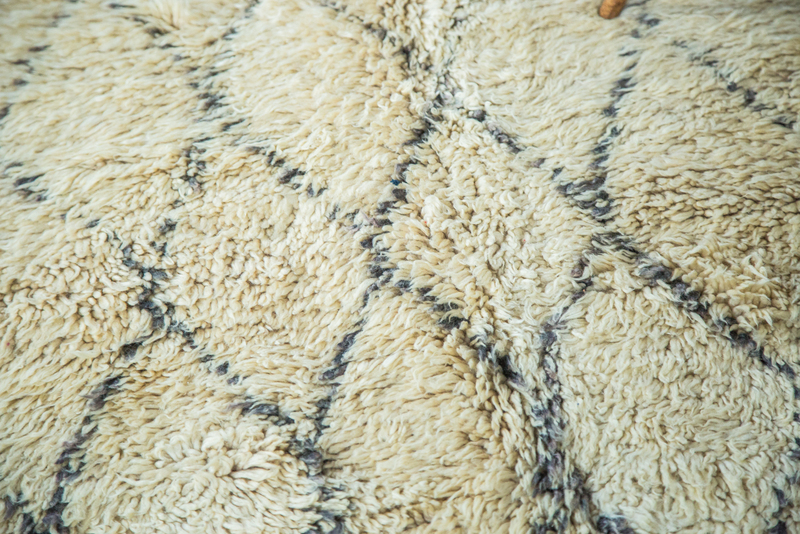 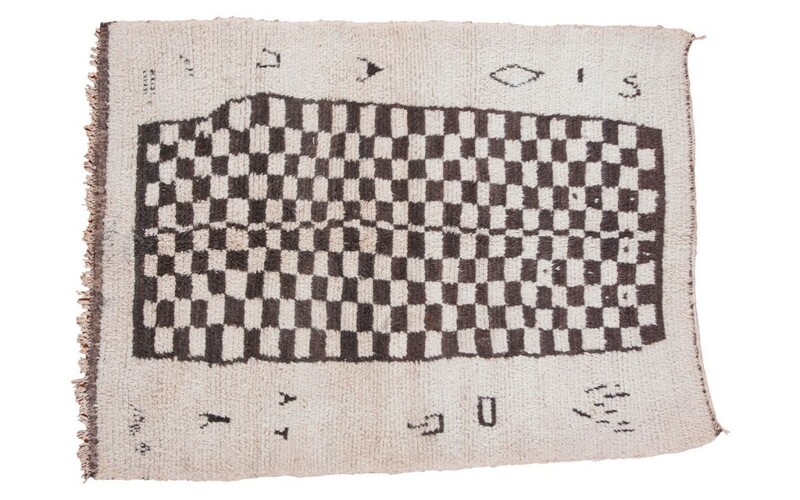 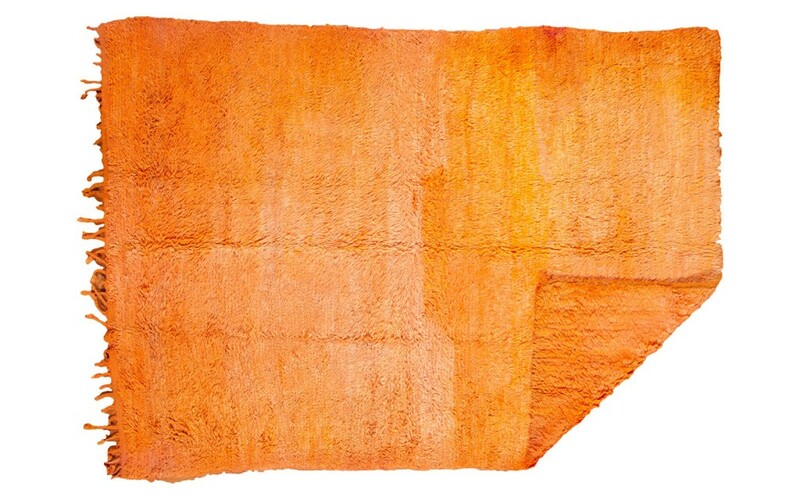 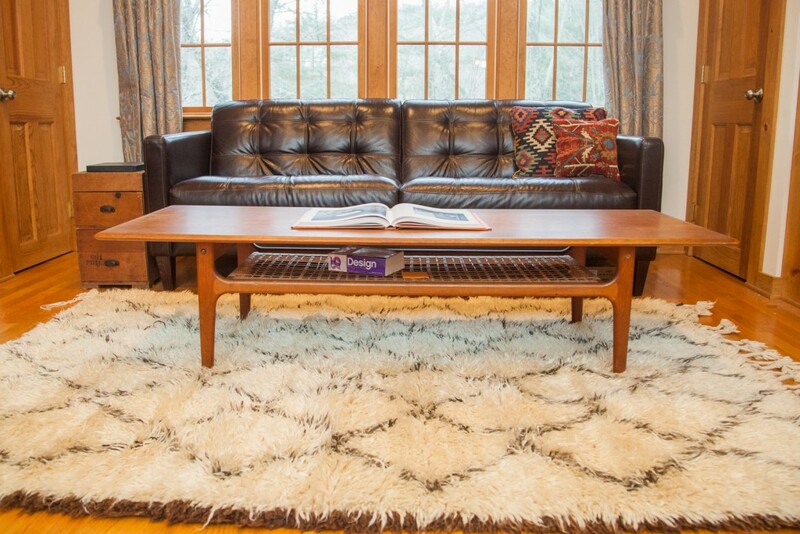 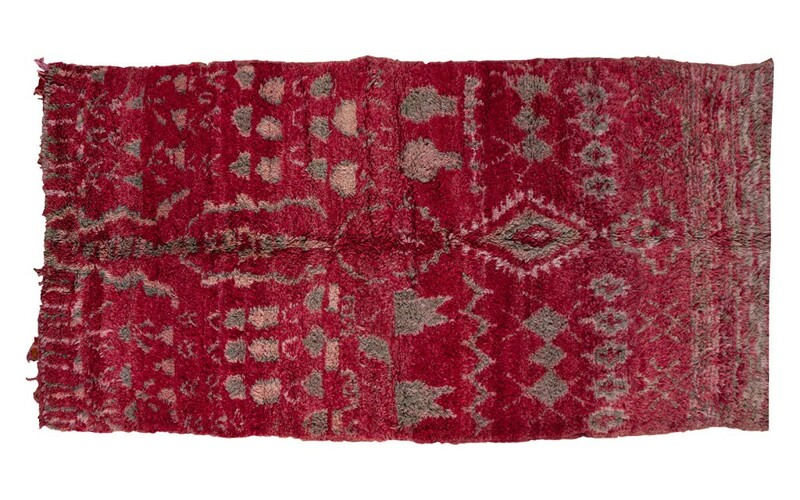 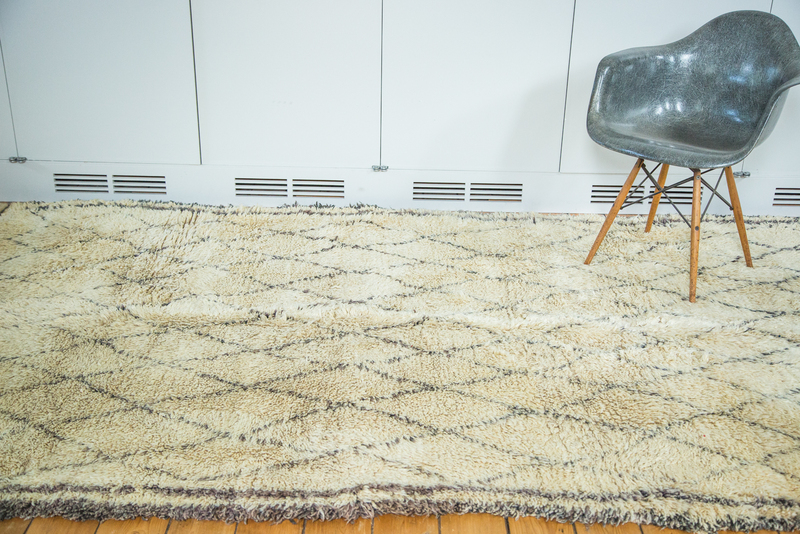 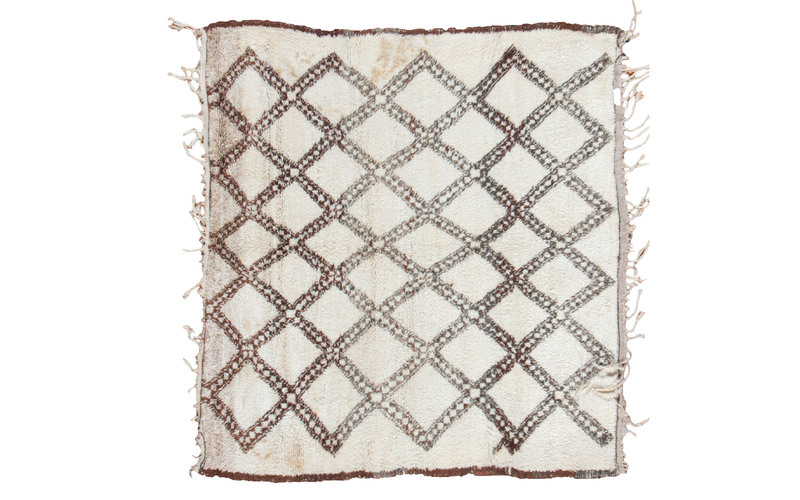 Our inventory primarily focuses on vintage Moroccan rugs from Kilims and Blankets, to throws and Berbers. 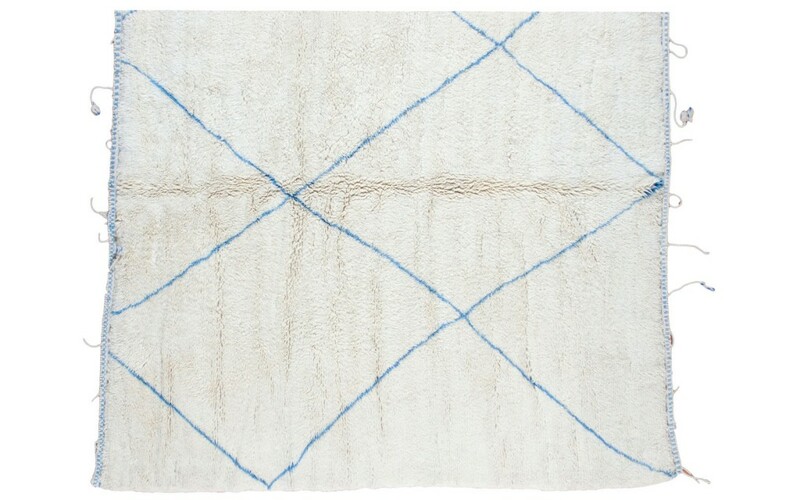 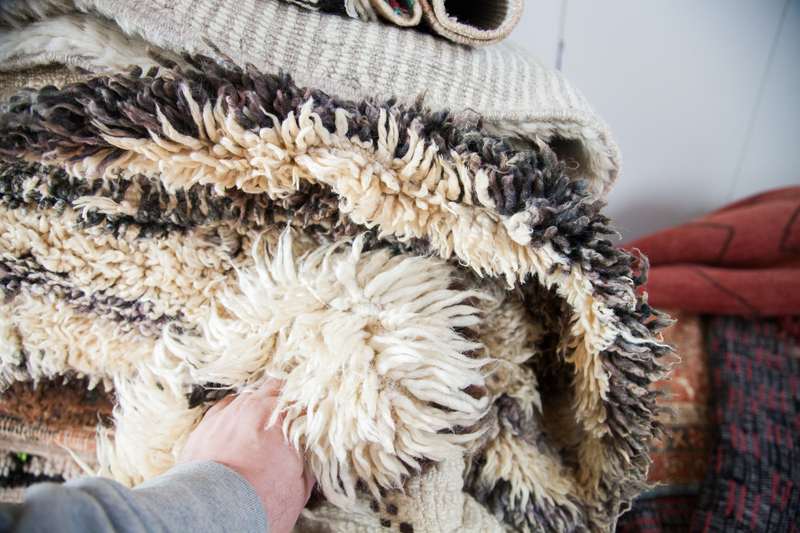 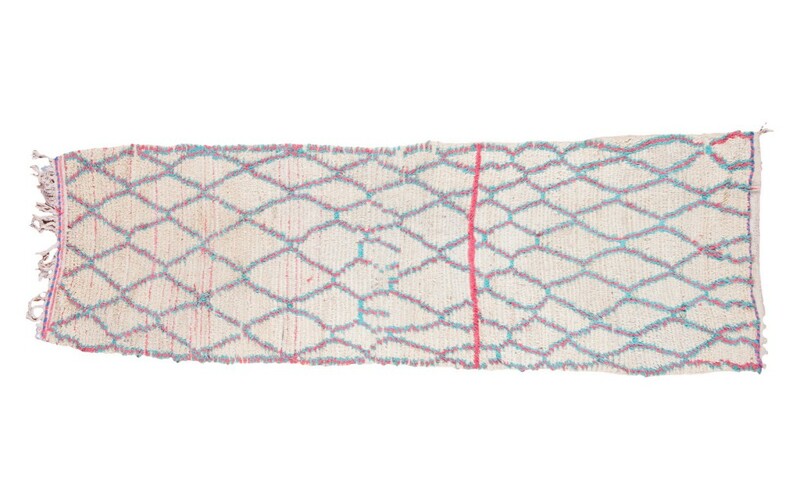 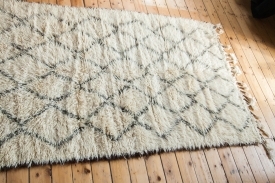 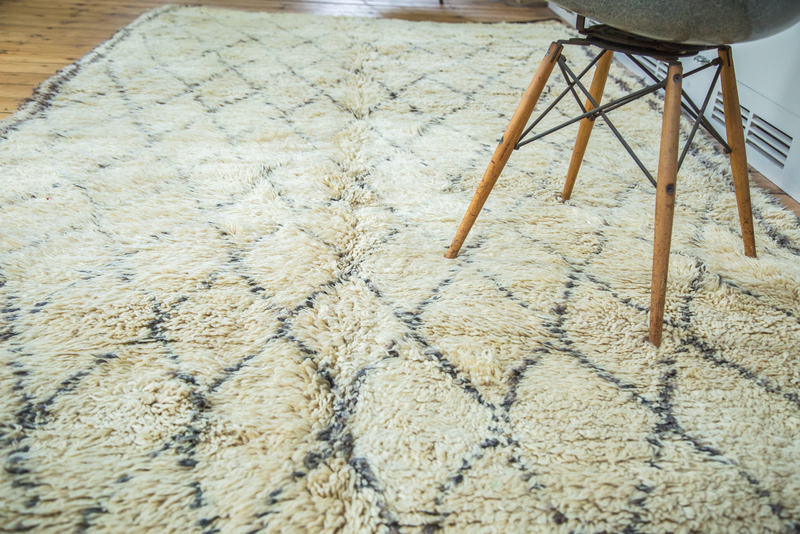 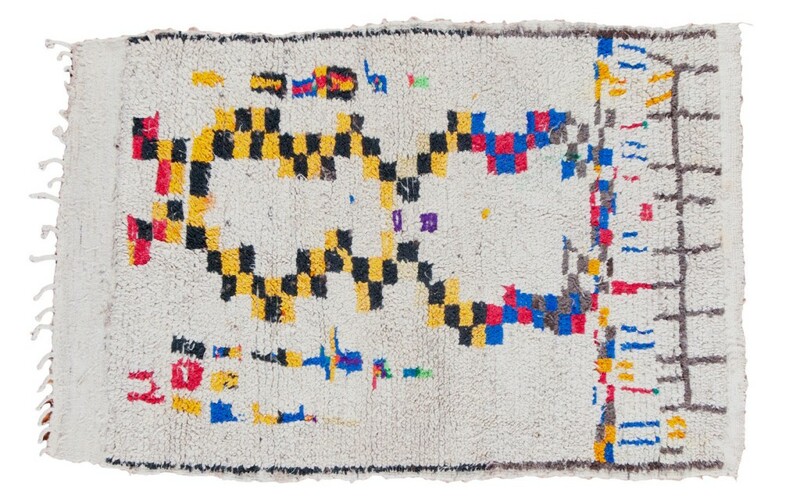 High Atlas rugs of fine long staple wool and weave are a focus for stock, where you will find fabulous Beni Ourain, Azilal rugs and Boucherouite constituted primarily of upcycled materials from fabrics and textiles, linens and clothing of yesteryear. 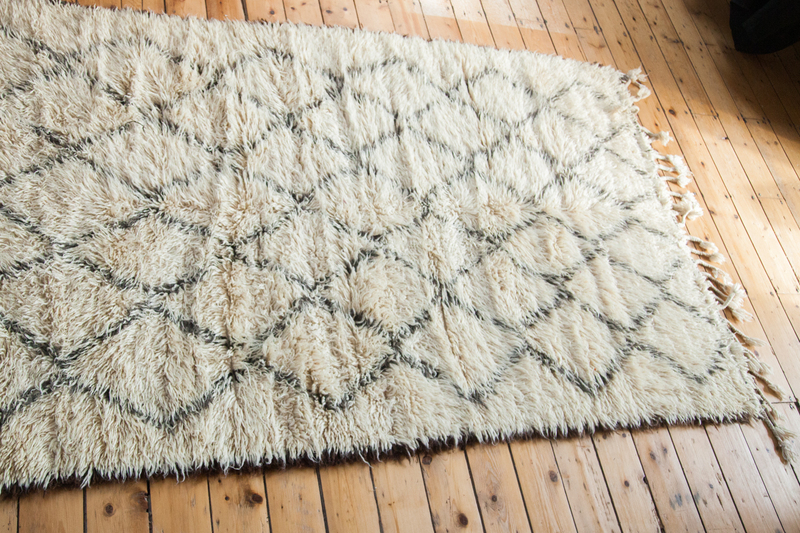 Enjoy the pictorial imagery of small towns, Atlas mountains, diamond motifs and shadowy outlines of wonderful free-form motif and often natural, undyed wool as shorn from the fleece some of the world’s most mountainous sheep. 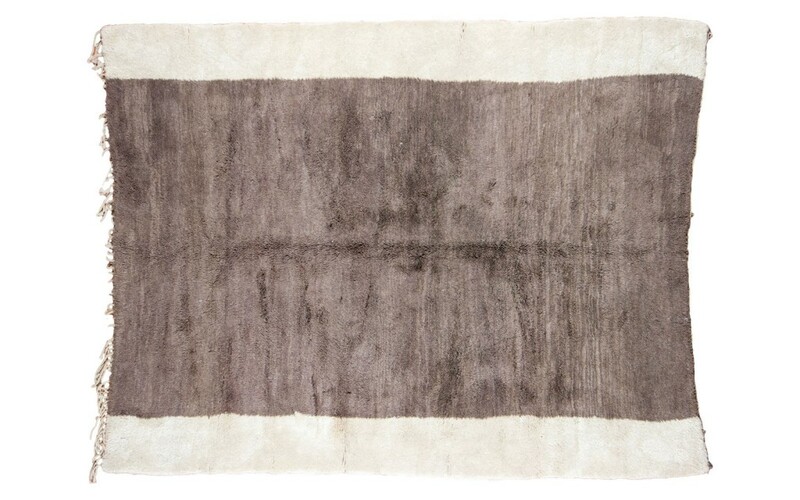 Experience pure shades of ivory, white, grey, silver, brown, charcoal and black wools. 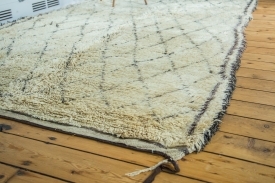 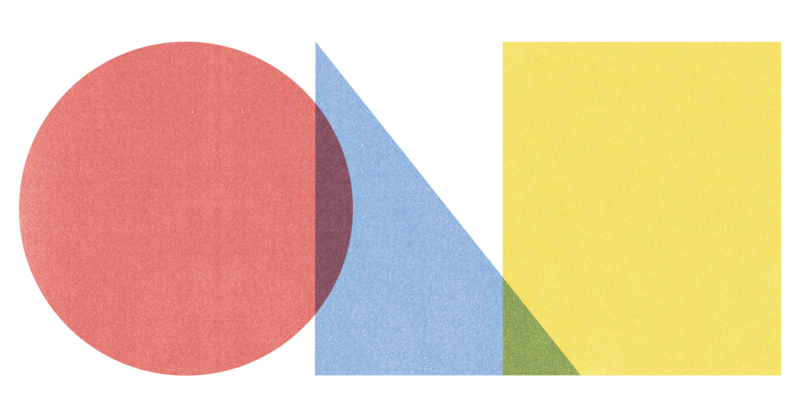 Sizes vary from small throws and area rugs of 3’x5′ all the way up to gallery width and length 6’x12′ runners in addition to hard-to-find oversize 8’x10′ and larger.